In 1999 he came to Devon to be both a herbalist and a specialist candle and incense maker. 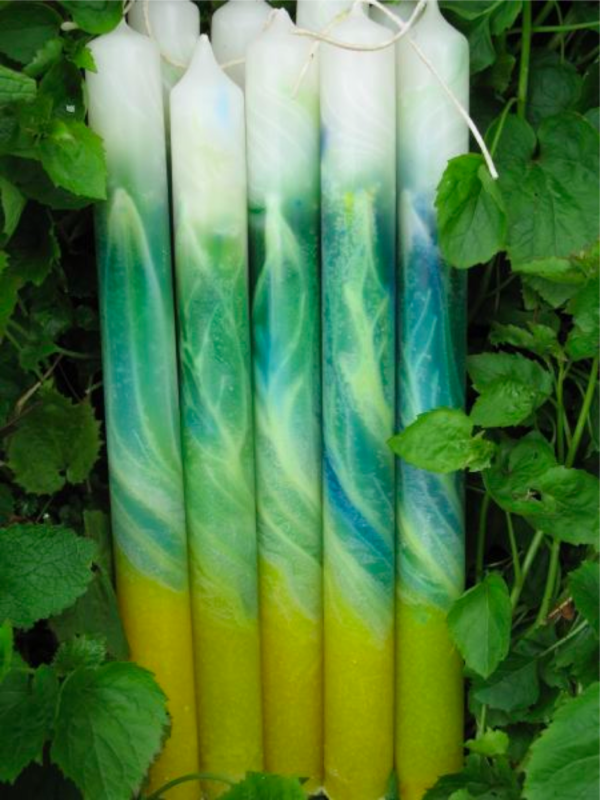 He gained his membership of the National Institute of Medical Herbalists in 2002, although he is still very much involved with designing and creating candles. The Candles and Incenses here represent a body of devoted colour design and aromatherapy oil blending work that has in it's roots a celebration of the gifts of nature. So just like a jeweller will take different materials and nature's stones to make a piece of jewelry, so does Peter consider colour and scent to be nature's jewels, and he similarly "alchemically" fashions them to be the finest expession of these materials. We hope you enjoy the gifs of his work in this website.that you see in this website. Not only do they look exquisite (see P2), but the specially blended essential oils take one's experience of candles to a different level!